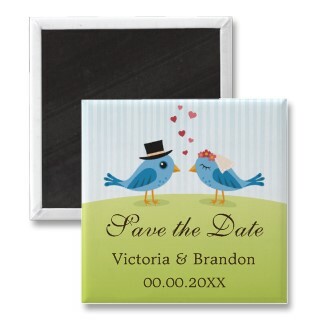 Cute square Save the Date magnet featuring two blue birds, a bride and a groom, looking at each other. Hearts over their heads symbolizes love. Customizable text “Save the Date”, bride’s and groom’s name and wedding date. Click on the image for more details.